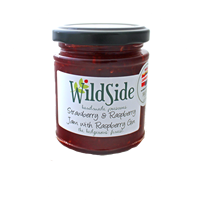 As the business has developed our product range has grown and now includes Jam, Jelly, Marmalade, Chutney and Vinegars, which are all traditional ways of preserving the tastes of the summer for enjoyment right through the year. There is something very retro about preserve making and in a market dominated by a few big manufacturers there is a growing demand for something a little less usual. The hedgerows of England abound with edible produce and plants which our grand parents used to eat, and are now largely forgotten and unused. 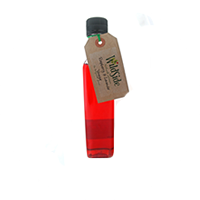 We tap into this forgotten larder and use tantalising plants like Sloes, Damsons, Wild Garlic (Ransomes), Medlars and Elderflowers as well as the more humble Blackberry and Rosehip to bring a fresh dimension to our preserves. Because we pick and make as we travel our product range follows the seasons, which means that every batch we produce is a limited edition. However, the nature of preserves means that the heady days of high summer can be enjoyed in the depths of winter and autumn's 'mellow fruitfulness' can be recalled well into spring. 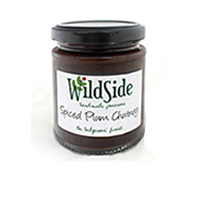 In fact, you could say that we specialise in capturing the taste of the season and sealing it in a jar. 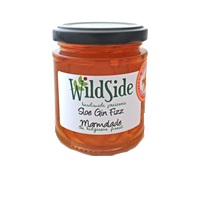 At Wild Side we are always experimenting so if you have any suggestions do contact us as we love trying new ideas or old recipes. We have often been asked if we provide a mail order service, but we have concluded that glass jars and couriers do not make a happy match when you ship such small quantities as we do. Too many customers experienced the disappointment of broken jars, so now we sell all our products face to face. We are a small lifestyle business and we make and carry just enough of our preserves to last us a season out on the waterways. We therefore have no capacity to make or store products for sale to other retailers.